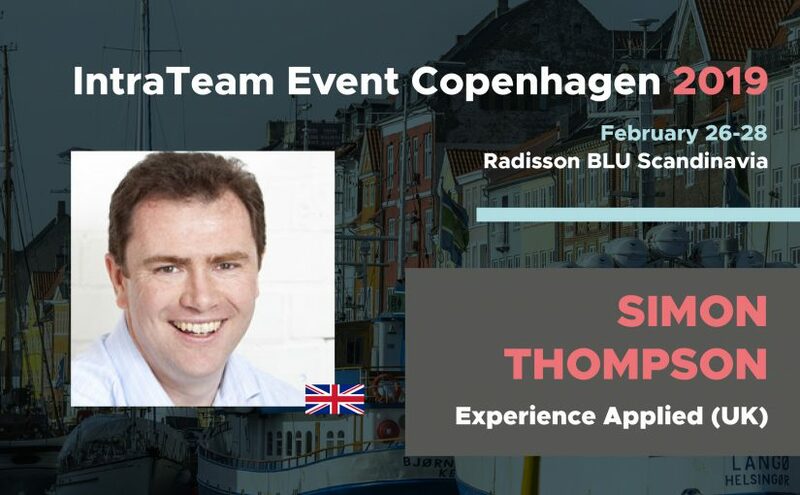 I’m delighted to have been invited to present at the IntraTeam conference in Copenhagen, 26-28 February 2019. I will be building upon my Lessons from Learning presentation to further explore the potential in integrating learning and intranets. IntraTeam this year was my first international intranet conference, and I found it an outstanding three days of well-curated workshops and talks, topped-off by great conversations with experts from around the world. 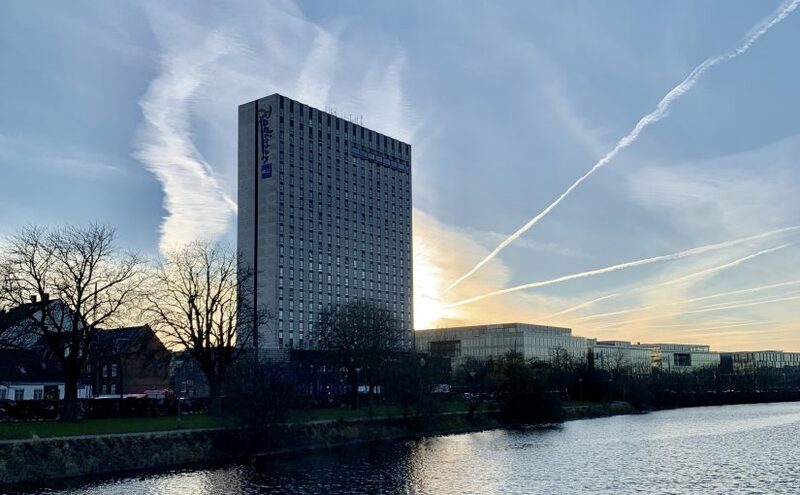 Two weeks after the intranet heavyweights Gerry McGovern and James Robertson headlined Interact’s Interaction conference, Wedge Black and Brian Lamb took a different approach with Intranet Now. 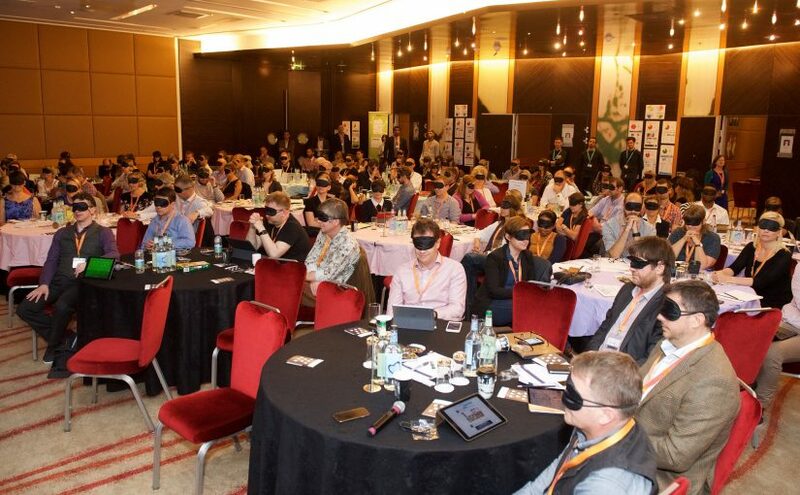 The event zipped along with shorter-form talks between 7 and 22 minutes, and the only opportunities for questions during the afternoon World Café and workshops sessions. Details may have been lost along the way, but big ideas and useful hints were in abundance, although I’d have liked a little more time for reflection and consolidation. I would also have valued more time in the World Café sessions rather than the too-short workshops. 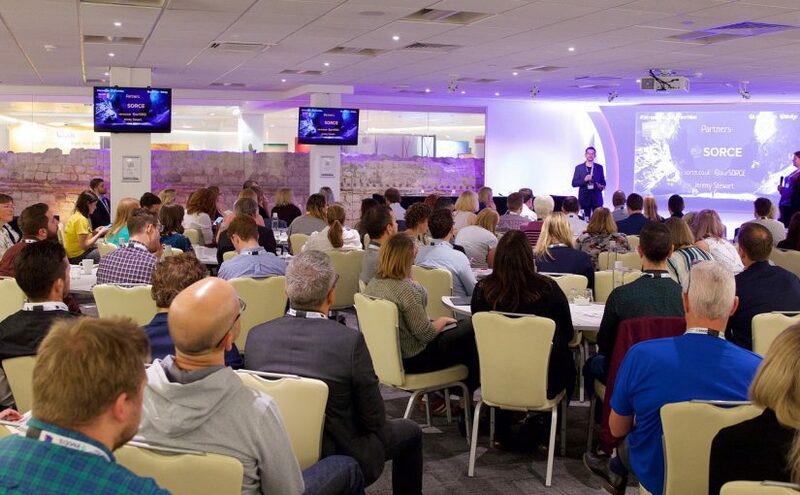 Those remain quibbles, Intranet Now is fantastic value for any UK-based intranet practitioner, and I’d recommend future events without reservation. What in the business would you fix? John Scott, of Content Formula, spun a fabulous story on the theme of “faster horses”, but shifted into practical advice on getting to know your users. This included seeking out detractors, honing detail, and John’s magic wand question “what in the business would you fix?” While I might not agree with John on everything, for example treasure hunts have been seen to work well as a way of getting people to explore an intranet, his advice to remember “you have done the research” in the face of the HiPPO is sound. Martin White combines world-weariness, cynicism, enthusiasm, knowledge and experience and is never less than interesting. 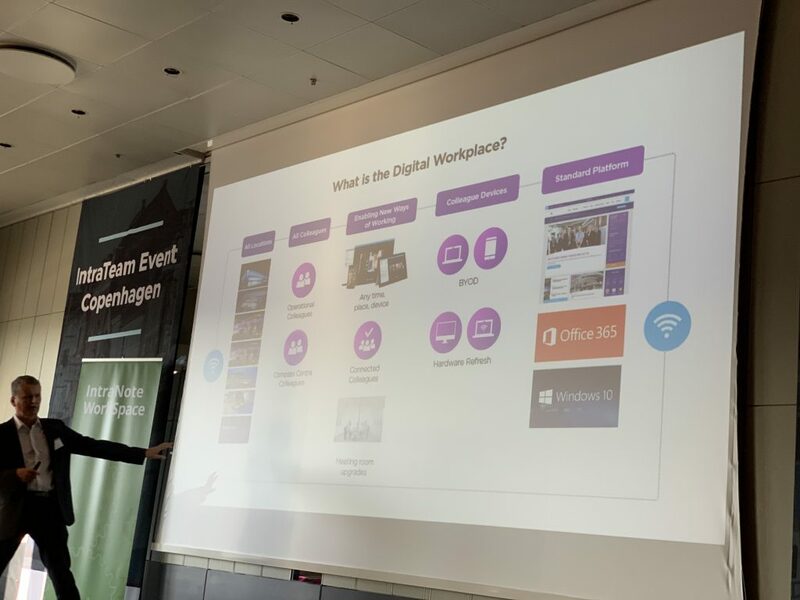 Here, he rattled through a history of intranets and the digital workplace, and gave the audience pause to consider how much, or perhaps how little, has really changed. 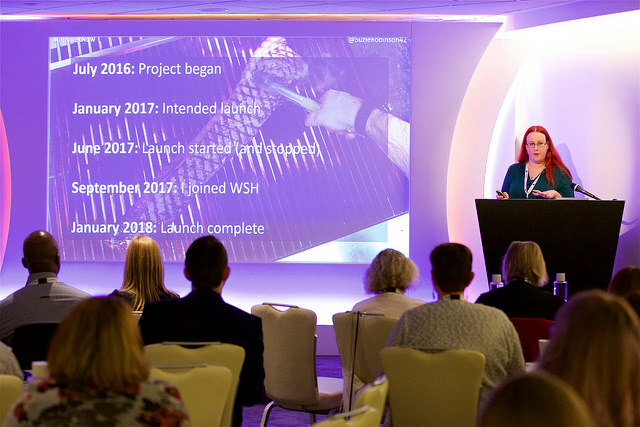 Keri Harrowven was the first day-to-day intranet manager to speak at Intranet Now 2016. Now at Ian Williams, a rapidly expanding housing services company, Keri explained how the intranet is an essential part of helping staff support the business. She also showed how a business process diagram in Visio could be made available in SharePoint Online – a simple solution to a profoundly complex problem. Kevin Cody, achieving the treble of speaking at Intranet Now conferences, discussed Designing for engagement, and continued the theme of research. He told the valuable story how it was assumed that NHS staff needed mobile intranet access, whereas it was found to be a low priority. He then discussed the introduction of social tools and gamification to the “reluctant but fiercely competitive” sales staff at Heineken. Calum Haswell of White & Case showed how even a risk-averse law firm can deliver business value using personalisation. Combining the organisational structure and users’ experience of social media models meant that better information was put in front of the right users. 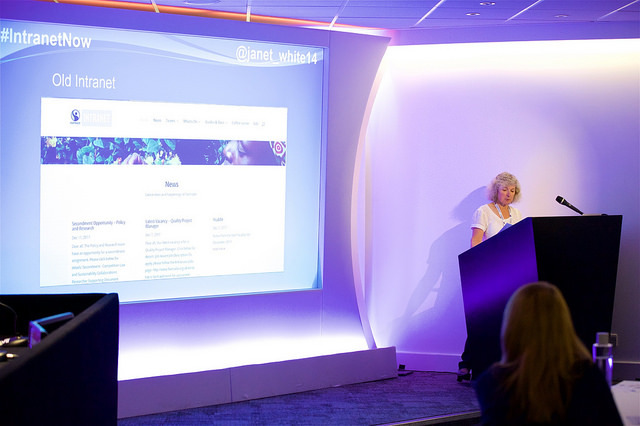 One of the stand-out talks of the event, despite the subject of “Intranet Governance – after the go live”. Neil Morgan of Richemont International discussed the processes behind rolling out “Maisons” for each of Richemont’s luxury brands. 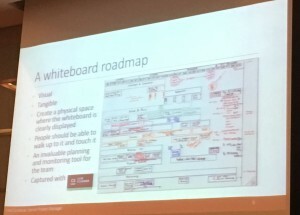 He explained the importance of consistency and showing how other brands are working, but this seems to me to be about thinking of the intranet as a product, and that the product roadmap is a valuable tool for keeping stakeholders interested and engaged in the process. Hanna Karppi is the Head of Digital Workplace at Skanska, conducted 100 user interviews around the world as part of the research in building the new OneSkanska intranet. In another excellent talk, Hanna shared how the resulting intranet was greeted with responses including “what was wrong with the old one? This is even worse” and “I think I will get used to it, but then you will change it.” In face, the launch went really well with high adoption levels. Andrew Hesselden spoke on How to Resuscitate your Intranet, showing how even small changes can lead to significant improvements. His wise advice included to draw inspiration from external trends and to show authors what good looks like. Julian Morency of sponsors Twine Intranet told the story of the business and how it developed into Software as a Service, but one that can be significantly customise. What was striking, though, was the sum “Integration + culture + content + management” which I’m sure I took out of context, but is an interesting way of considering what we all do. Jenni Field discussed her time at SSP, explaining how quickly approval of the intranet turned into questions about money. She highlighted important questions of risk, especially over inappropriate use of file storage services, but also raised the value of including external stakeholders. 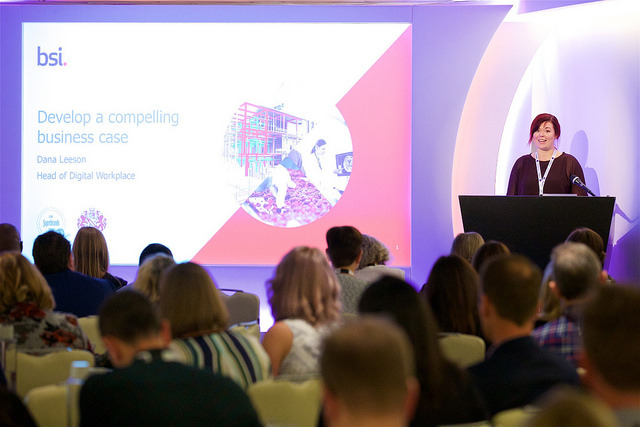 Alex Skinner of Pixl8’s story of building an intranet service for a global fashion house felt something of a cautionary tale, but fit a lot into 7 minutes. This stark warning from Phil Mennie of PwC, I wonder, might be an opportunity as much as something to fear. From ROI to data protection (and the day’s only mention of GDPR) businesses may have to consider the effect of intranets. This task, faced by Kevin Austin of Shell, demonstrated how social enterprise network success can improve the bottom line. 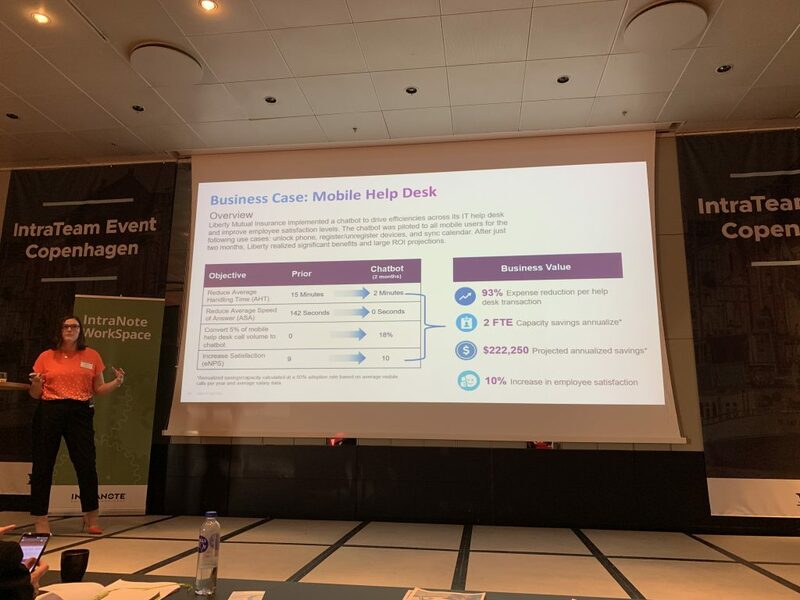 Yammer became a core strategic tool in pushing sales staff towards higher-profit premium products including the sharing of best practices as well as great stories from the front lines. Importantly, the use of videos helped change the core strategy and the creation of a network of brand influencers and ambassadors. The aptly named Café Dialog videos gave everyone the opportunity to learn more about people and their motivations. Anne-Marie’s approach “they were the teachers, I was the pupil” led to healthy competition between locations, and even improved CEO videos by making them much more personable. How many words does it take to hear a page? Sponsor Invotra has made a considerable effort to make its intranet product accessible. Paul Zimmerman, whose talk last year was one of the most forward-thinking, made a wholly different, but equally thought-provoking presentation. Accessibility is a broad subject and hard to get into, but Paul did a good job and gave us the most memorable moment of the event, where we all put on sleep masks to hear a screen reader describing a web page at high speed. 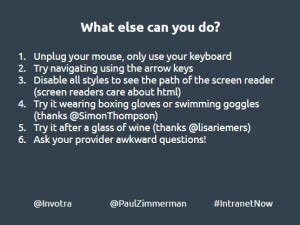 I also received a namecheck from Invotra – thank you Paul and Lisa! The conference resumed after lunch with another engaging talk, this time from Ernst Decsey of UNICEF and how the Private Fundraising and Partnerships Intranet was rebuilt over four years. Starting from the fine assertions that they didn’t want the old intranet on the new platform, that the IA should move from organisation to user focussed, to shift the mindset from silos to shared resources, and to prioritise content over interaction. Ernst shared some of the planning and research focussed around the theme of Lego blocks. Many attendees will have taken three things away from this talk. First, the decision to demote news from the front page, and to replace it with campaigns and emergency content. I like this because it puts the reason for the organisation right at the heart of the intranet, in effect it massively raises the bar for front page news. 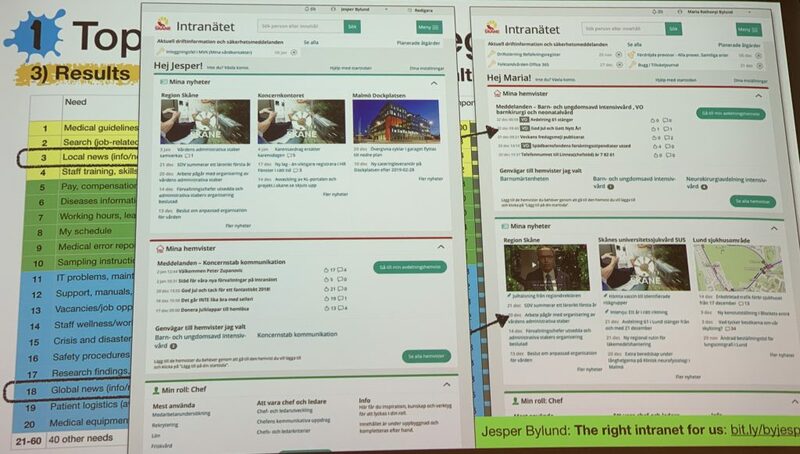 Secondly, as Ernst said “reassure the audience…this is your intranet,” every page shows ownership and encourages feedback. Finally, the team has created a shopping cart so users can add any useful material as they use the intranet and can easily find again later. 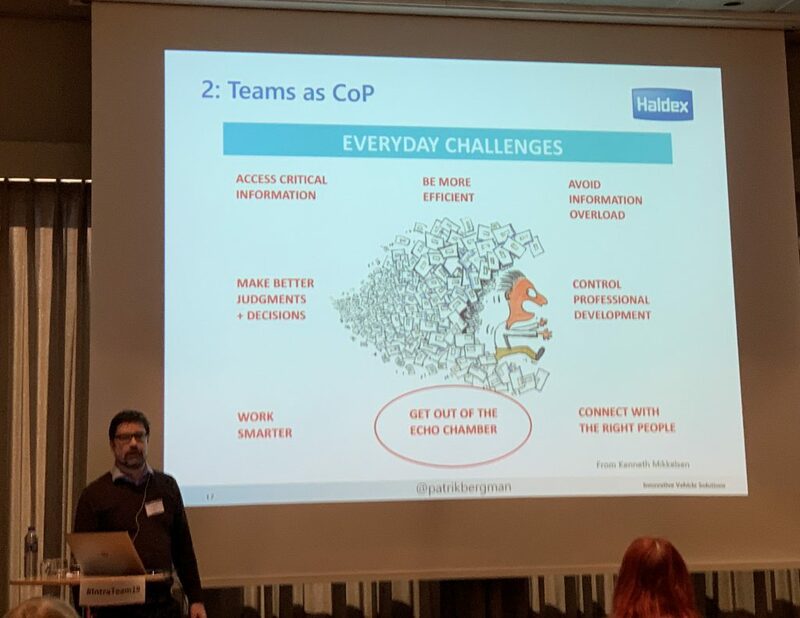 Andrew Gilleran shared “Why poor training is killing your intranet” and raised the subject of author training and that we’re often training our authors badly with 3 day training marathons, when short, focused training can achieve more. Nicole Carter and Dave Hall from the Scottish Government say they’re midway through “productivity” on the journey to a fully collaborative intranet. Having worked with Gerry McGovern’s Customer Carewords, they’ve worked to build a more user and task-focused intranet. They’ve reduced the prominence of news in favour of productivity tools, and content has been cut back and simplified in order to make finding content easier. Sasha de Speville of sponsors EasySharepoint started with cats, in particular the cat posters that recently replaced advertisements at Clapham Common station. Sasha picked up on the organisers’ desire to create energy and carry it into whatever might come next. Talking about why “internal communications is business critical,” and how it has a role in crossing cultures, and that the best intranet projects are led by people who are unafraid of stepping into the unknown. Mossy O’Mahony of sponsors Newsweaver discussed some of the issues behind intranet metrics and, more importantly, understanding the business impact. In spite of the talk in business about measurement, there’s not a lot of action, especially when it comes to internal communications. Sam Marshall gave us a shorter version of his Hubs, Hives and Hangouts talk, an exploration of different working styles in the workplace and their online equivalents. Sam calls these places huddles, hives, hubs, hangouts, hermits and harbours. To illustrate that we can’t just blend these together, Sam’s analogy (and unwarranted attack) on the poor defenceless spork that will live in our memories. Diane Murgatroyd and Bettina Hasan from the Foreign & Commonwealth Office (FCO) discussed the launch and embedding of their social intranet. It started with some familiar tactics, but also some more interesting. Staff were encouraged to post photos of #myjourneytowork, leading to a collection from all over the world. Special interest tags like #chinawatchers or #uswatchers allowed those with professional or personal interests in a place to keep informed. Later initiatives included measurement, introduction of videos, revising etiquette, and a blog called “I’m sorry but I am too busy to use People Finder” by a senior user. Diane and Bettina listed some of the things they felt worked, these included recognition of contribution, champions, storytelling, and (most interestingly) combined effort. The final talk was by Rachel Miller and Ed Garcez highlighting lessons from working across three London councils (Westminster, Kensington and Chelsea, and Hammersmith) to build three intranets into one platform that was “consistent, but individual.” Their recipe for better relationships between CIOs and Comms was simple: put users at the heart, be visible, be approachable, and de-mystify what you’re doing. With the conference section at an end, we moved into a format with concurrent workshops and World Café discussions. I feel the workshops were too short to possibly be of real value, while the round-table discussions hosted by the conference speakers were potentially wonderful but unfortunately hurried. The café format is the kind of thing I want from an event like this and I would like to see it extended. The day ended with thank-yous and a prize giving. James Robertson had already hauled his enormous glass trophy back to Australia, but there was a surprise second (but presumably equal) prize for the blogging team Intranetizen (Sharon O’Dea, Dana Leeson, Luke Mepham, and Jonathan Phillips). The award was thoroughly deserved, and I feel significant as three of the four remain intranet practitioners rather than consultants. As ever, Intranet Now 2016 was an exhilarating rush through a broad range of intranet subjects. The short presentation format works well, but it can feel hurried and opportunities for insight may be missed. On the other hand, the constant flow of information means there’s still a high hit rate. I don’t want to sound ungrateful to the sponsors whose contribution keeps ticket prices affordable, but some of their talks would be a lot better if they shared more of their considerable experience rather than talking up their products. Once again, Brian and Wedge need to be commended for their efforts, and I do hope Intranet Now is financially bouyant enough for them to keep going. I am as certain as I can that I’ll be back for 2017. 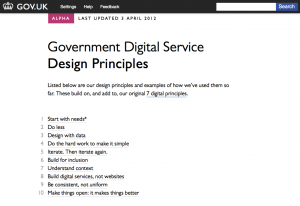 This week, the UK’s Government Digital Service unveiled a list of ten Design Principles. These are intended for for people building digital services under the GOV.UK domain, but I hope they will prove significant for absolutely anyone creating websites, intranets or other digital services, especially for those of us in-house. For a moment, while reading this, I found myself actually shaking with happiness. It felt so good to see so much of what I believe to be true, put so clearly, in attractive way, by an organisation that needs little introduction. That might be an attention-grabber, but I’d argue it is an important one. Too many intranet projects ignore user needs in favour of organisation needs, and can only succeed by bending employees behaviour to fit the tool (or being very lucky). By starting with the user, you can help people do what they need to do. This gives you something to build on. Release Minimum Viable Products early, test them with real users, move from Alpha to Beta to Launch adding features and refinements based on feedback from real users. Don’t just use logs and other evidence to create your next set of designs, take a leaf out of The Lean Startup and test your theories in the next generation of prototypes. And repeat. We should build a product that’s as inclusive, legible and readable as possible…We’re designing for the whole country – not just the ones who are used to using the web. It is so tempting to only consider the most likely users. After all, your project needs their participation to even stand a chance of being a success, but they’re not the whole organisation. Often, the people you can help the most are the ones who’re being helped the least. Context of use is so important, and has been badly neglected through the computer-browser era. We’re beginning to appreciate the benefits of responsive design (btw. try resizing the Design Principles page) and what that can mean for people using anything other than a computer, but there’s something more. Perhaps your user is in a library on a phone? From this point, things are only going to get more complicated – the era of everyone accessing your intranet from Internet Explorer is over. Our service doesn’t begin and end at our website. It might start with a search engine and end at the post office. For most businesses, an intranet that only exists for what happens online is meeting only a fraction of its potential. If we start thinking of intranets as being the first part of a digital service, we can start to unlock that potential. I’ve just posted this review onto Amazon (permalink) and it makes sense to publish it here too. 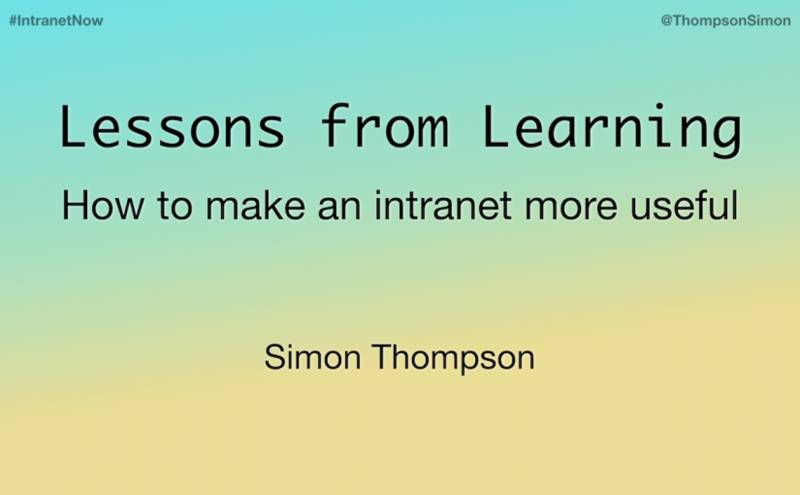 A great value distillation of years spent designing and understanding intranets, James Robertson has packed his book with real-world intranet screenshots and experiences. It’s the kind of book that’s handy to have prominently displayed on your desk or within reach when someone insists their approach is best. The first 50 pages may help correct so many dangerous assumptions, that the book could pay for itself in minutes. That manager over your shoulder might like to ponder why the chapter Developing Page Designs appears almost exactly halfway through the book, and home page design is even further on. Having helped the reader establish the priorities for the intranet, Robertson introduces a well-tested framework rooted in understanding staff needs. After establishing a brand and strategy, he introduces a user-centred design methodology going through a content inventory, card sorting to “understand how users think”, developing (and then testing) an information architecture, before finally getting onto creating page designs (and then testing them). This is a fleeting introduction to these techniques but, for those readers who require more, Robertson is generous with his recommendations. Some may be disappointed there is not a universal intranet design that will just work, but here they will find something that genuinely adds value. Experienced designers will find details that illuminate their problems or examples to challenge their assumptions. My largest concern is the book focuses on more traditional intranets, concluding with a few short chapters touching on issues including personalisation/targeting, applications, search, large-scale intranet issues, collaboration and social. The advice remains sound, especially in the context of the book’s advocacy of user-centred design, but that might not be enough for some readers. With that in mind, I have little hesitation in recommending Designing Intranets. 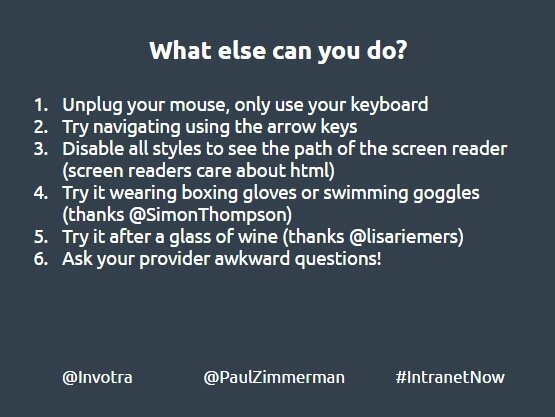 There is something useful to be found on almost any page—whether a principle of good practice, an insight, or one of the many screenshots—to provide great deal of help and context for intranet designers whatever their level of experience. This is a blog post that has lived with me for several years, and this version originates from August 2010. Computing has gone mobile, it has moved over more than half a century from room-filling beasts, through so-called mini computers, to the desktop PC and other static devices, through the laptop and onto the mobile phone. It couldn’t get any smaller, not without changing the way we connect ourselves to the device, so we have seen the next step with the devices getting bigger. The iPad is not the first tablet, but it will probably remembered as such. Apple appears to be the winner for now, although we have seen how sales of Android phones have overtaken the iPhone in a way many people did not expect. Oddly enough, I thought Microsoft had won the game a decade ago when it announced its tablet PC version of Windows XP. While others dismissed the idea out of hand, I thought the concept was exactly what people would want when using a device at home or on the move. I could picture myself at home, in front of a television, using my tablet for web browsing and for controlling my home theatre. 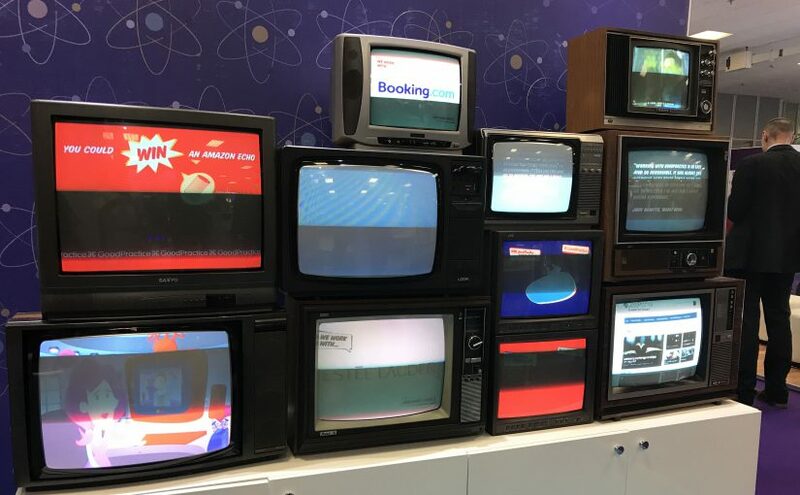 Even then it was easy to imagine being able to combine live television and web on a single large screen, combining digital multi-channels, and really being able to command a complete experience. So, what have we got, and how can that form the complete experience? This is your mobile phone, you carry it with you 90%+ of the time. It is a powerful computer in its own right, and behind its cellular phone network are banks of datacentres ready to augment that power whenever you need it. Why do you need anything else? Of course, data entry is difficult, and you wouldn’t want to watch movies on it. Sometimes you need a lot more on screen than something a few inches across can provide at an acceptable speed. Therefore you need something a little bigger. This is something you can carry with you most of the time. It might be your tablet, or it might be your laptop. A lot depends on the way you need it to be used – whether always on or for something more precise, for example data entry. It should pair seamlessly with your phone, perhaps relying on its data connection, or augmenting it, even providing a better aerial. But your phone can add to this equation too. It can be a secondary display, a handset, a remote control, even a portable keyboard or mouse. You now have a powerful mobile computing platform, but you aren’t always on the move. This is the most flexible of all three (unless you want a fourth category, the boulder perhaps). It can be a desktop PC at the office or at home. It could be your television and media centre. It could be something that hasn’t yet been dreamed of. Immediately you have two secondary displays or input devices (actually we need a name for this kind of device) that can act as remote controls or augment the viewing experience. I for one would love to be able to watch Formula 1 races with the ability to select my own camera views, to move them around the screen or display data of my own choice. What is important here is that these devices blend together seamlessly. Once paired, they should just work. There is no reason that it should be Apple phone, Apple tablet, and Apple TV and not playing well with any other devices. It cannot be beyond the wit of companies that stand to make trillions to work out a series of APIs. Once upon a time, I dreamed that my lightweight MP3 player could talk wirelessly to a battery-powered hard drive in my bag, and from there to my office and home PCs. That was in the days before 3G communication made the wireless web possible, and before Google and Amazon would deploy for me their cloud computers at a moment’s notice. From now on, devices should not be isolated. It is pretty dire that Apple could not get iPhone and iPad to play together from day one. If Apple doesn’t lead the way, then Google, or perhaps a few Android/Chrome manufacturers must do so.